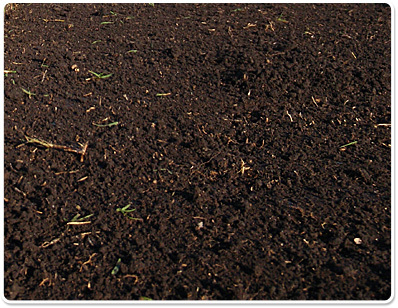 Soil quality and depth is a most important factor in having a very easy to maintain but still fantastic looking lawn. Existing topsoil should be stock piled to one side when carrying out excavation and re-spread when preparing to lay turf. If topsoil is lost or is of poor quality good soil should be bought in. 100mm (4 inches) of top soil is adequate but more is better if you can afford it. Top quality soil should have correct levels of ph and nutrients. Money saved using poor quality soil should be balanced against the expense of extra inputs of fertilizers and soil conditioning products. The area to be turfed should be levelled with adequate drainage away from buildings. Avoid using too great a depth of metal dust as it dries out too much in dry times.